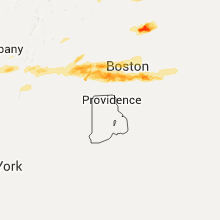 The Methuen Town, MA area has had 1 report of on-the-ground hail by trained spotters, and has been under severe weather warnings 2 times during the past 12 months. 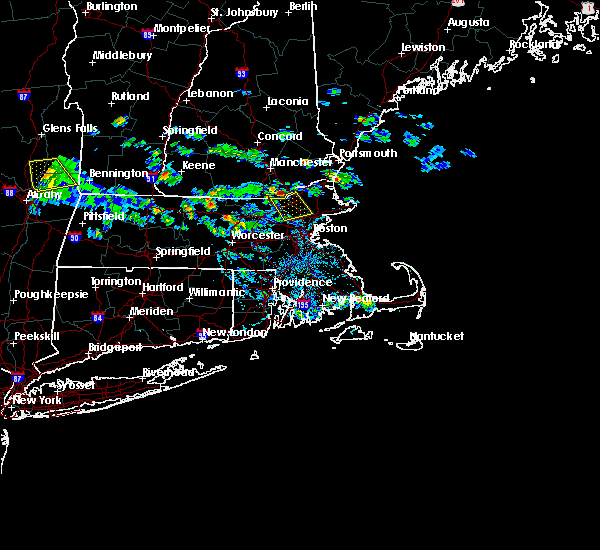 Doppler radar has detected hail at or near Methuen Town, MA on 10 occasions. 7/17/2018 1:15 PM EDT The national weather service in boston/norton has issued a * severe thunderstorm warning for. northern essex county in northeastern massachusetts. northeastern middlesex county in northeastern massachusetts. until 215 pm edt. 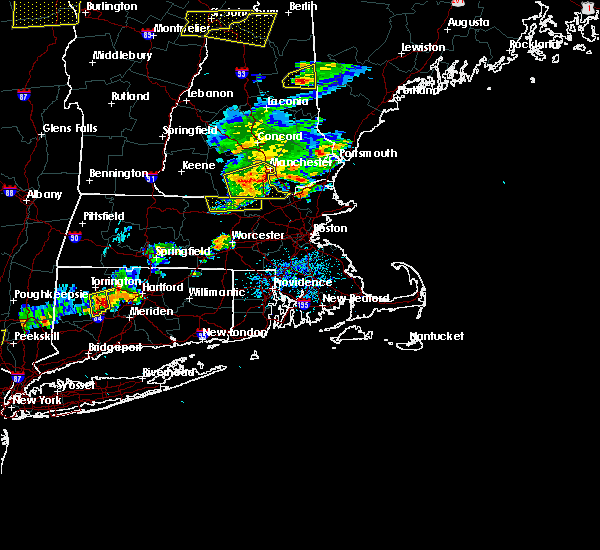 At 114 pm edt, a severe thunderstorm was located over west newbury,. 6/18/2018 5:51 PM EDT At 550 pm edt, severe thunderstorms were located along a line extending from near warner to near weare to milford to near new ipswich, moving east at 45 mph. these storms are producing widespread wind damage (radar indicated). Hazards include 70 mph wind gusts. Expect considerable tree damage. Damage is likely to mobile homes, roofs, and outbuildings. 7/8/2017 2:04 PM EDT At 203 pm edt, severe thunderstorms were located along a line extending from 6 miles south of raymond to near hudson, moving east at 35 mph (radar indicated). Hazards include 60 mph wind gusts and penny size hail. Expect damage to trees, and power lines. locations impacted include, manchester, nashua, portland, derry, rochester, south portland, biddeford, portsmouth, brunswick, westbrook, hampton, durham, exeter, kittery, alfred, sanford, salem, northwood, topsham and merrimack. this also includes, hampton beach, york beach, ogunquit beach, wells beach, and fortunes rock beach. peaks island, long island, cushing island, cousins island, and great diamond island. this includes the following highways, interstate 295 between mile markers 1 and 30. interstate 93 between mile markers 0 and 17. interstate 95 between mile markers 1 and 63. Interstate 95 in new hampshire between mile markers 1 and 16. 6/23/2017 2:10 PM EDT At 207 pm edt, a severe thunderstorm was located over north reading, or near woburn, moving northeast at 45 mph (radar indicated). Hazards include 60 mph wind gusts. Expect damage to trees and power lines. Locations impacted include, lawrence, haverhill, peabody, methuen, billerica, woburn, andover, tewksbury, north andover, danvers, wakefield, reading, burlington, wilmington, stoneham, winchester, newburyport, amesbury, north reading and ipswich. 5/31/2017 8:33 PM EDT At 832 pm edt, severe thunderstorms were located along a line extending from near raymond to near derry to near pelham, moving east at 30 mph (radar indicated). Hazards include 60 mph wind gusts and penny size hail. Expect damage to trees, and power lines. locations impacted include, derry, hampton, durham, exeter, salem, epping, brentwood, greenland, raymond, seabrook, pelham, stratham, newmarket, newington, hampstead, atkinson, kingston, chester, danville and lee. 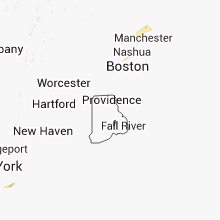 this includes the following highways, interstate 93 between mile markers 1 and 8. Interstate 95 in new hampshire between mile markers 1 and 10. 5/18/2017 10:38 PM EDT At 1038 pm edt, severe thunderstorms were located along a line extending from near durham to 10 miles east of salem to 20 miles south of pelham, moving east at 45 mph (radar indicated). Hazards include 60 mph wind gusts. Expect damage to trees, and power lines. locations impacted include, nashua, derry, salem, epping, raymond, hudson, pelham, londonderry, hampstead, atkinson, chester, danville, fremont, deerfield, candia, windham, sandown and nottingham. This includes interstate 93 between mile markers 1 and 13. 5/18/2017 10:02 PM EDT At 1001 pm edt, severe thunderstorms were located along a line extending from concord to near merrimack to 15 miles south of mason, moving east at 45 mph (radar indicated). Hazards include 60 mph wind gusts. Expect damage to trees, and power lines. locations impacted include, manchester, nashua, derry, merrimack, salem, northwood, bedford, milford, hooksett, amherst, litchfield, hollis, epping, new boston, mont vernon, lyndeborough, raymond, new ipswich, goffstown and mount vernon. this includes the following highways, interstate 293 between mile markers 1 and 11. Interstate 93 between mile markers 1 and 31. 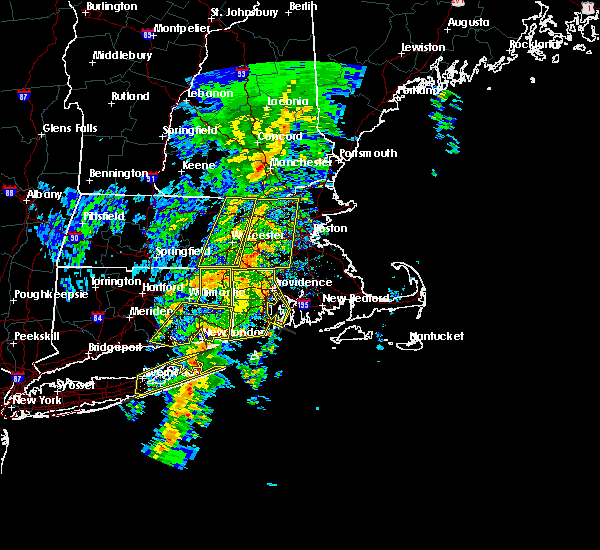 9/11/2016 10:14 AM EDT At 1014 am edt, severe thunderstorms were located along a line extending from north andover to hopedale, moving east at 45 mph (radar indicated). Hazards include 60 mph wind gusts. Expect damage to roofs. siding. and trees. Locations impacted include, boston, cambridge, brockton, quincy, lynn, newton, lawrence, somerville, framingham, haverhill, waltham, malden, brookline, medford, weymouth, revere, peabody, methuen, arlington and everett. 9/11/2016 10:10 AM EDT The severe thunderstorm warning for northwestern essex, southeastern hampshire, southeastern hampden, worcester and middlesex counties will expire at 1015 am edt, the storms which prompted the warning have moved out of the area. therefore, the warning will be allowed to expire. 9/11/2016 9:59 AM EDT At 959 am edt, severe thunderstorms were located along a line extending from near effingham to near pelham, moving east at 45 mph (radar indicated). Hazards include 60 mph wind gusts and penny size hail. Expect damage to roofs. siding. And trees. 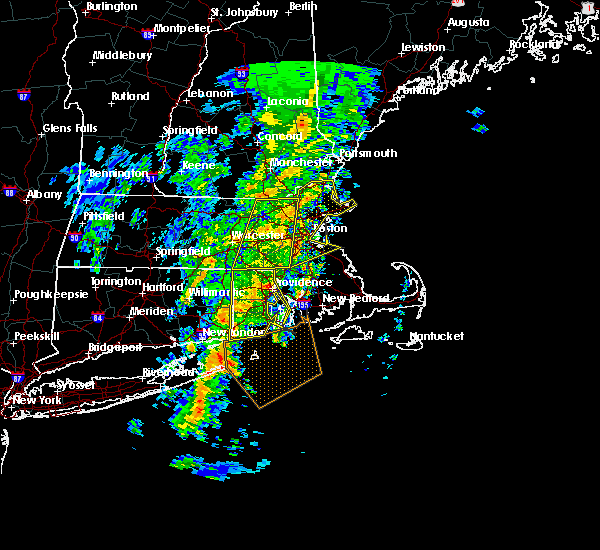 9/11/2016 9:53 AM EDT At 952 am edt, severe thunderstorms were located along a line extending from tyngsborough to near oxford, moving east at 45 mph (radar indicated). Hazards include 60 mph wind gusts. Expect damage to roofs. siding. And trees. 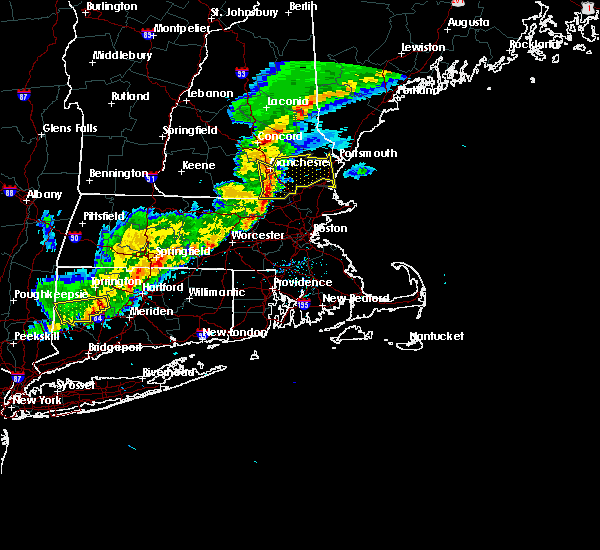 9/11/2016 9:23 AM EDT At 922 am edt, severe thunderstorms were located along a line extending from near new boston to near westminster to north brookfield to west hartford, moving east at 45 mph (radar indicated). Hazards include 60 mph wind gusts. Expect damage to roofs. siding. And trees. 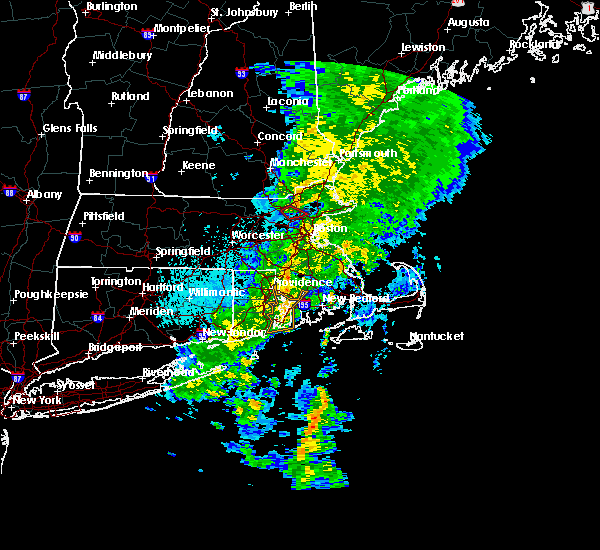 8/22/2016 3:51 AM EDT At 351 am edt, a severe thunderstorm was located over wilmington, or near andover, moving northeast at 25 mph (radar indicated). Hazards include 60 mph wind gusts. Expect damage to roofs. siding. And trees. 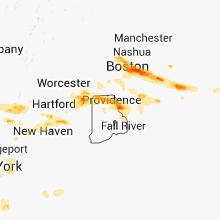 7/23/2016 7:29 PM EDT At 728 pm edt, a cluster of strong thunderstorms was affecting northern massachusetts producing damaging wind gusts (radar indicated and spotters have reported wind damage with these storms). Hazards include 60 mph wind gusts. Expect damage to roofs. siding. And trees. 7/23/2016 6:46 PM EDT At 646 pm edt, severe thunderstorms were located along a line extending from portsmouth to near derry, moving southeast at 35 mph (radar indicated). Hazards include 60 mph wind gusts and nickel size hail. Expect damage to roofs. siding. and trees. Locations impacted include, derry, portsmouth, hampton, durham, exeter, salem, dover, eppi ng, brentwood, greenland, seabrook, stratham, newington, rye, newma rket, raymond, londonderry, hampstead, atkinson and kingston. 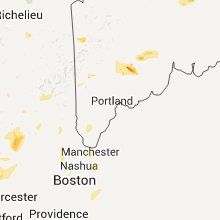 7/23/2016 6:42 PM EDT At 641 pm edt, severe thunderstorms were located along a line extending from portsmouth to near manchester to keene, moving southeast at 25 mph (radar indicated). Hazards include 60 mph wind gusts and nickel size hail. Expect damage to roofs. siding. and trees. Locations impacted include, manchester, nashua, derry, merrimack, keene, portsmouth, hampton, durham, exeter, kittery, jaffrey, salem, dover, bedford, milford, amherst, litchfield, hollis, swanzey and epping. 7/23/2016 6:41 PM EDT At 641 pm edt, severe thunderstorms were located along a line extending from near brentwood to brookline to fitzwilliam, moving southeast at 50 mph (radar indicated). Hazards include 60 mph wind gusts. Expect damage to roofs. siding. And trees. 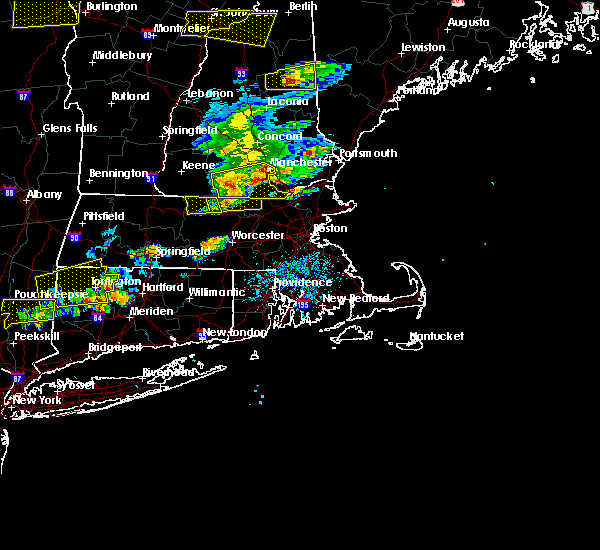 7/23/2016 6:38 PM EDT At 636 pm edt, a line of severe thunderstorms in southern new hampshire will be dropping southeast into north central and northeast massachusetts through 730 pm (spotter reporting numerous reports of wind damage in southern new hampshire). Hazards include 60 mph wind gusts. Expect damage to roofs. siding. And trees. 7/23/2016 6:30 PM EDT At 630 pm edt, severe thunderstorms were located along a line extending from newington to manchester to swanzey, moving southeast at 25 mph (radar indicated). Hazards include 60 mph wind gusts and nickel size hail. Expect damage to roofs. siding. and trees. Locations impacted include, manchester, nashua, derry, merrimack, keene, portsmouth, hampton, durham, exeter, jaffrey, salem, northwood, dover, bedford, milford, hooksett, somersworth, amherst, barrington and litchfield. 7/23/2016 6:08 PM EDT At 608 pm edt, severe thunderstorms were located along a line extending from near dover to goffstown to walpole, moving southeast at 25 mph (radar indicated). Hazards include 60 mph wind gusts and nickel size hail. Expect damage to roofs. siding. And trees. 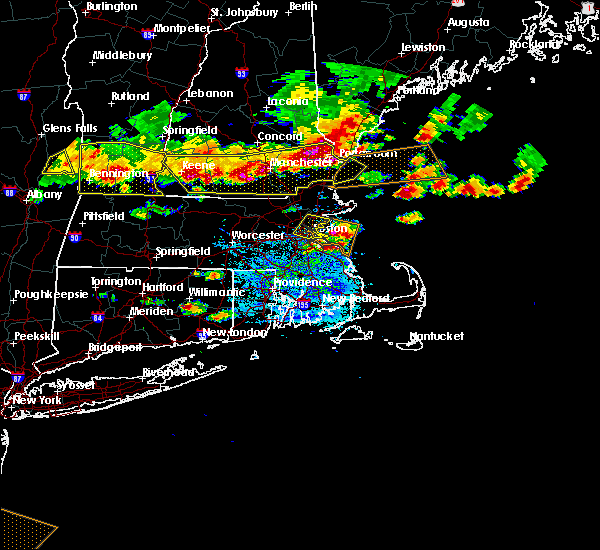 7/18/2016 3:41 PM EDT At 340 pm edt, severe thunderstorms were located along a line extending from raymond to salem to near dracut, moving northeast at 45 mph (radar indicated). Hazards include 60 mph wind gusts. Expect damage to roofs. siding. And trees. 7/18/2016 3:17 PM EDT At 317 pm edt, a severe thunderstorm was located over haverhill, moving east at 50 mph (radar indicated). Hazards include 60 mph wind gusts and quarter size hail. Hail damage to vehicles is expected. Expect wind damage to roofs, siding, and trees. 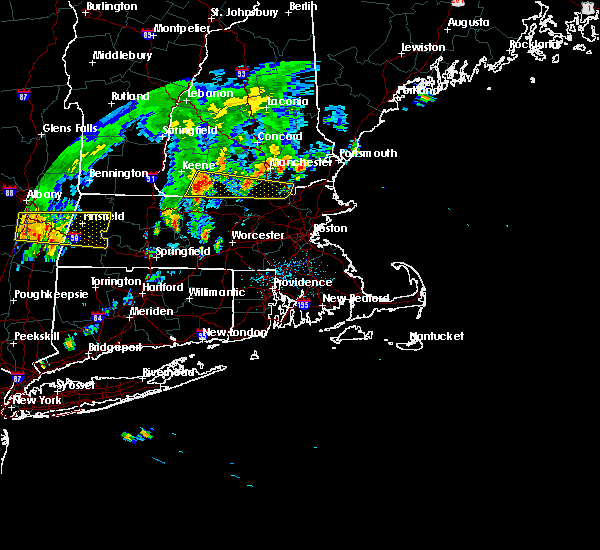 7/18/2016 3:15 PM EDT At 315 pm edt, severe thunderstorms were located along a line extending from lyndeborough to hollis to fitchburg, moving east at 50 mph (radar indicated). Hazards include 60 mph wind gusts and penny size hail. Expect damage to roofs. siding. and trees. Locations impacted include, manchester, nashua, merrimack, salem, bedford, milford, hooksett, amherst, litchfield, hollis, new boston, mont vernon, greenfield, lyndeborough, francestown, mason, mount vernon, wilton, goffstown and greenville. 7/18/2016 3:05 PM EDT At 305 pm edt, severe thunderstorms were located along a line extending from near peterborough to mason to near gardner, moving east at 60 mph (radar indicated). Hazards include 60 mph wind gusts and penny size hail. Expect damage to roofs. siding. and trees. Locations impacted include, manchester, nashua, merrimack, salem, bedford, milford, hooksett, amherst, litchfield, hollis, peterborough, new boston, ashby, mont vernon, greenfield, lyndeborough, francestown, mason, new ipswich and mount vernon. 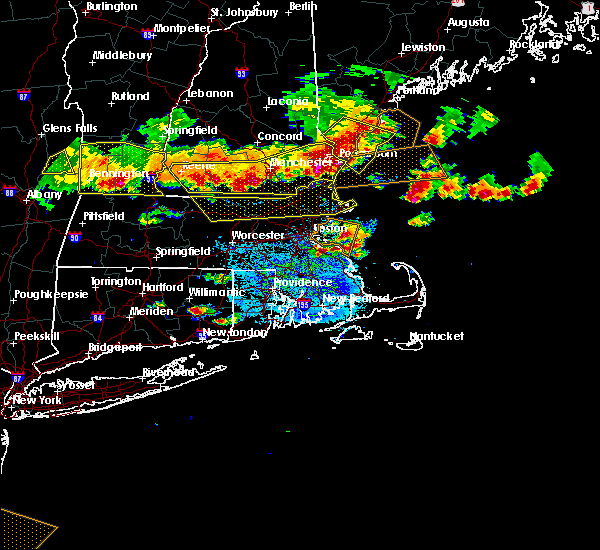 7/18/2016 2:56 PM EDT At 256 pm edt, severe thunderstorms were located along a line extending from jaffrey to near new ipswich to templeton, moving east at 50 mph (radar indicated). Hazards include 60 mph wind gusts. Expect damage to roofs. siding. and trees. Locations impacted include, manchester, nashua, merrimack, salem, bedford, milford, hooksett, amherst, litchfield, hollis, peterborough, new boston, ashby, mont vernon, greenfield, lyndeborough, francestown, mason, harrisville and new ipswich. 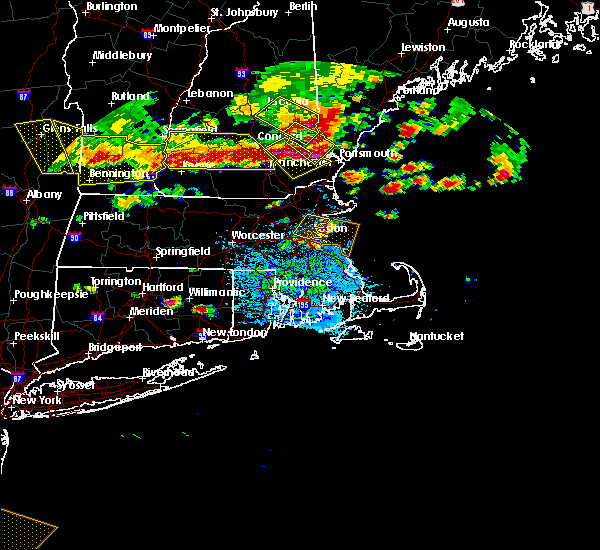 7/18/2016 2:48 PM EDT At 248 pm edt, severe thunderstorms were located along a line extending from near jaffrey to near rindge to phillipston, moving east at 50 mph (radar indicated). Hazards include 60 mph wind gusts. Expect damage to roofs. siding. And trees. 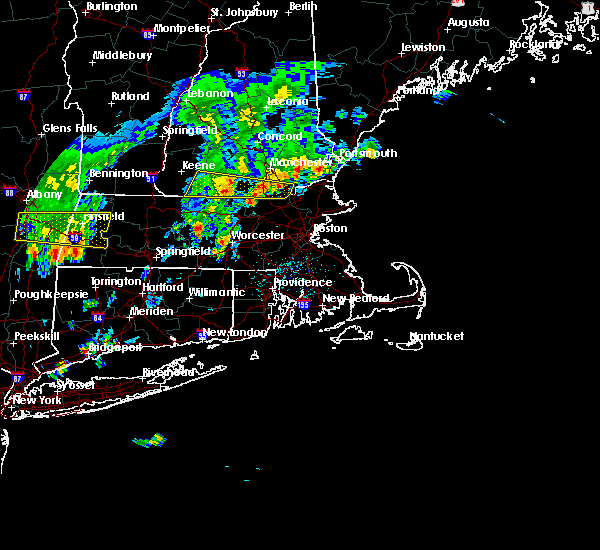 6/21/2016 3:25 AM EDT At 324 am edt, severe thunderstorms were located along a line extending from wilton to ashby to near hubbardston, moving southeast at 45 mph (radar indicated). Hazards include 60 mph wind gusts. Expect damage to roofs. siding. and trees. Locations impacted include, nashua, derry, dracut, merrimack, salem, milford, amherst, litchfield, hollis, peterborough, ashby, mont vernon, greenfield, lyndeborough, mason, new ipswich, mount vernon, wilton, greenville and hudson. 6/21/2016 3:03 AM EDT At 303 am edt, severe thunderstorms were located along a line extending from near harrisville to near fitzwilliam to near athol, moving southeast at 45 mph (radar indicated). Hazards include 60 mph wind gusts. Expect damage to roofs. siding. And trees. 2/25/2016 3:21 AM EST The severe thunderstorm warning for northwestern bristol, west central essex, western norfolk, southeastern worcester and middlesex counties will expire at 330 am est, the storm which prompted the warning has weakened below severe limits although strong winds may linger. 2/25/2016 3:01 AM EST At 301 am est, doppler radar indicated a severe thunderstorm capable of producing destructive winds in excess of 70 mph. 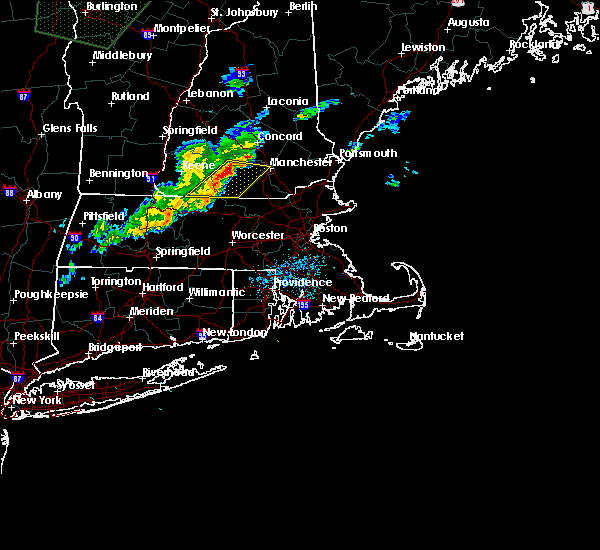 this storm was located over dedham, or near brookline, and was moving northeast at 85 mph. 2/25/2016 2:40 AM EST At 239 am est, doppler radar indicated a severe thunderstorm capable of producing destructive winds in excess of 70 mph. this storm was located over upton, or near milford, and was moving northeast at 115 mph. 8/15/2015 5:00 PM EDT At 500 pm edt, doppler radar indicated a severe thunderstorm capable of producing quarter size hail and damaging winds in excess of 60 mph. this storm was located over lawrence, and was moving east at 20 mph. * some locations impacted include, lawrence, haverhill, methuen, beverly, andover, dracut, tewksbury, north andover, danvers, wilmington, newburyport, amesbury, north reading, ipswich, middleton, salisbury, georgetown, boxford, hamilton and newbury. 7/24/2015 4:10 PM EDT At 409 pm edt, doppler radar indicated a severe thunderstorm capable of producing quarter size hail. 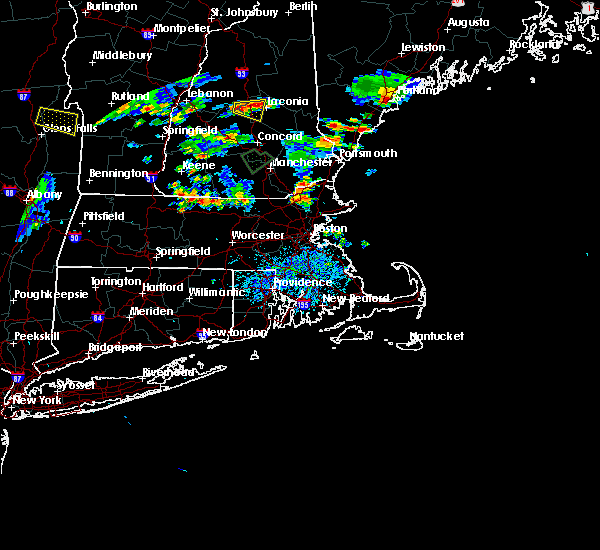 this storm was located over north andover, and was moving southeast at 20 mph. * some locations impacted include, lawrence, peabody, methuen, andover, north andover, reading, wilmington, north reading, ipswich, lynnfield, middleton, georgetown, boxford, topsfield and rowley. 7/24/2015 4:04 PM EDT At 403 pm edt, doppler radar indicated a severe thunderstorm capable of producing quarter size hail. 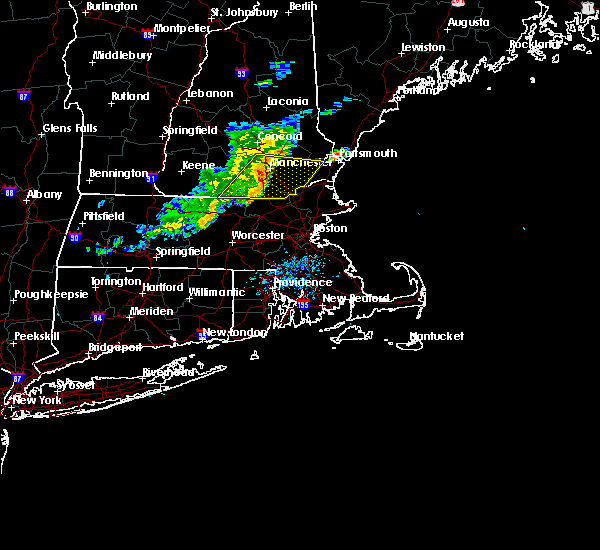 this storm was located over wilmington, or near billerica, moving southeast at 30 mph. locations impacted include, lowell, lawrence, methuen, andover, dracut, tewksbury, north andover and pelham. 7/24/2015 3:37 PM EDT At 337 pm edt, doppler radar indicated a severe thunderstorm capable of producing quarter size hail. 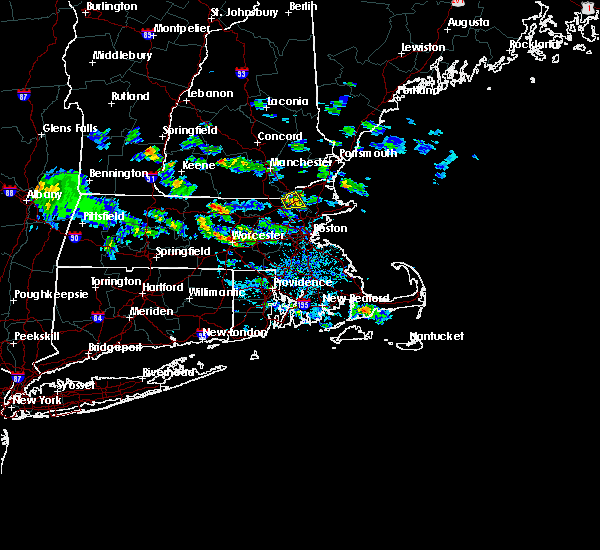 this storm was located over pelham, or near dracut, and was moving southeast at 30 mph. * some locations impacted include, lowell, lawrence, peabody, methuen, billerica, woburn, chelmsford, andover, dracut, tewksbury, north andover, reading, burlington, wilmington, north reading, bedford, pelham, lynnfield, tyngsborough and carlisle. 7/1/2015 7:07 PM EDT At 706 pm edt, doppler radar indicated a line of severe thunderstorms capable of producing damaging winds in excess of 60 mph. these storms were located along a line extending from near pawtuckaway state park to hollis, moving east at 30 mph. locations impacted include, nashua, derry, dracut, merrimack, western exeter, salem, hooksett, litchfield, hollis, epping, brentwood, raymond, newmarket, londonderry, hampstead, atkinson, kingston, chester, danville and fremont. 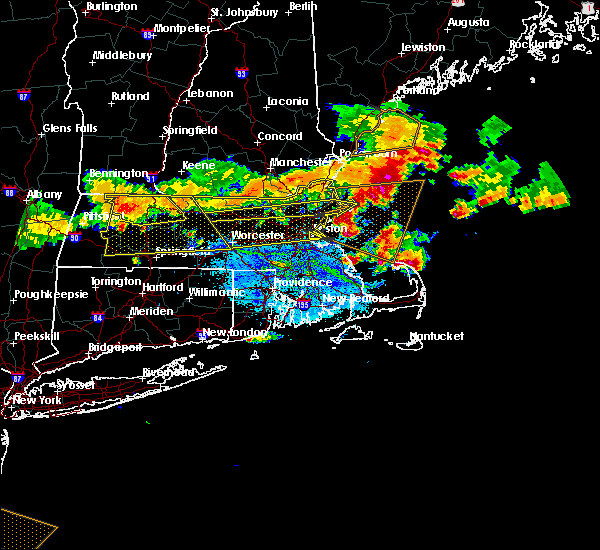 7/1/2015 6:58 PM EDT At 657 pm edt, doppler radar indicated a line of severe thunderstorms capable of producing damaging winds in excess of 60 mph. 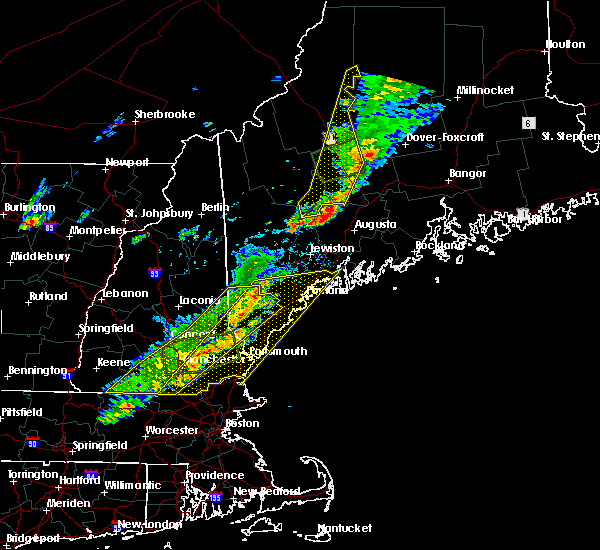 these storms were located along a line extending from near pawtuckaway state park to hollis, moving east at 30 mph. locations impacted include, nashua, derry, dracut, merrimack, western exeter, salem, bedford, hooksett, amherst, litchfield, hollis, epping, brentwood, raymond, newmarket, londonderry, hampstead, atkinson, kingston and chester. 7/1/2015 6:28 PM EDT At 627 pm edt, doppler radar indicated a line of severe thunderstorms capable of producing damaging winds in excess of 60 mph. 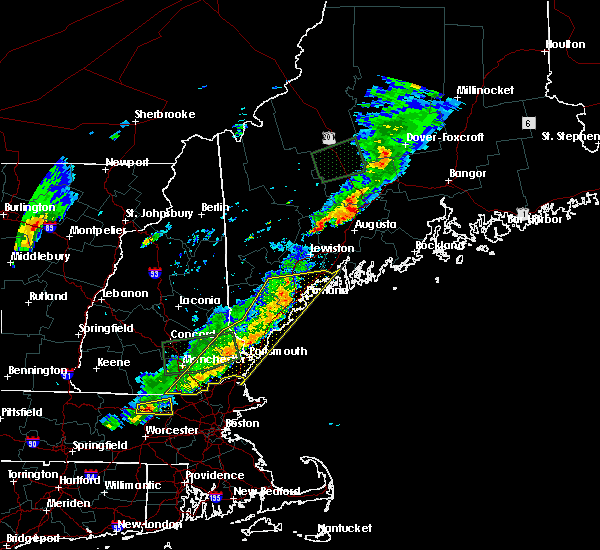 these storms were located along a line extending from near hooksett to near new ipswich, and moving east at 35 mph. 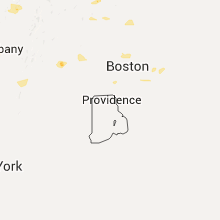 5/28/2015 5:28 PM EDT The severe thunderstorm warning for northwestern essex county will expire at 530 pm edt. as of 527 pm. 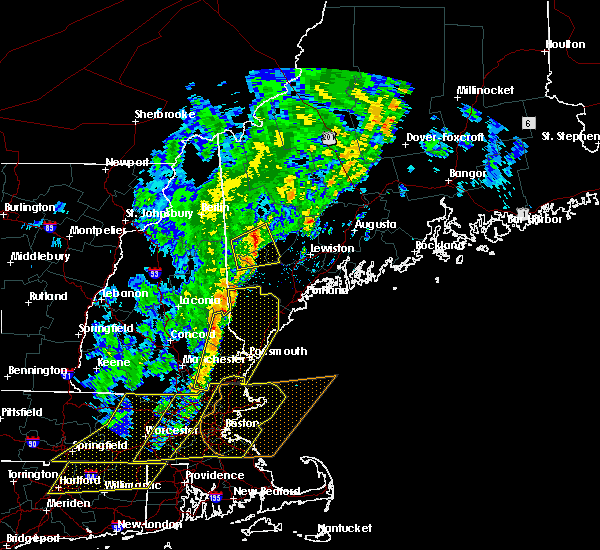 the line of storms which prompted the warning were moving off the coast. therefore the warning will be allowed to expire. frequent lightning was occurring behind the storms. For your safety. 5/28/2015 5:13 PM EDT At 512 pm edt, doppler radar indicated a line of severe thunderstorms capable of producing quarter size hail and damaging winds in excess of 60 mph. 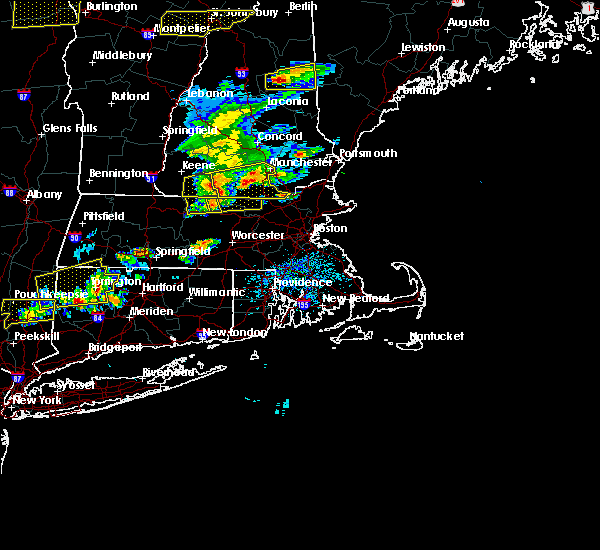 these storms were located along a line extending from newburyport to boxford, moving east at 40 mph. winds recently gusted to 48 mph at lawrence airport. locations impacted include, lawrence, haverhill, methuen, north andover, newburyport, amesbury, ipswich, salisbury, georgetown, boxford, newbury, groveland, merrimac, rowley and west newbury. 5/28/2015 4:56 PM EDT At 456 pm edt, doppler radar indicated a severe thunderstorm capable of producing quarter size hail and damaging winds in excess of 60 mph. this storm was located near salem, moving east at 25 mph. locations impacted include, dracut, salem, atkinson, plaistow, newton and windham. 5/28/2015 4:45 PM EDT At 445 pm edt, doppler radar indicated a line of severe thunderstorms capable of producing quarter size hail and damaging winds in excess of 60 mph. 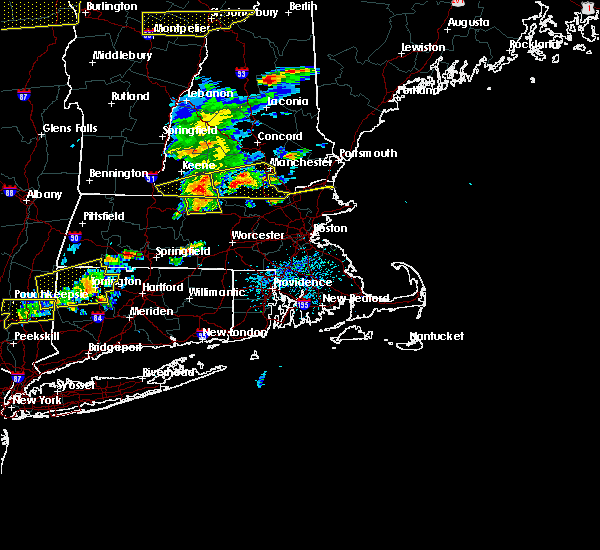 these storms were located along a line extending from near salem to tyngsborough, and was moving east at 45 mph. 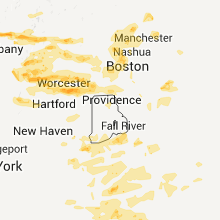 * some locations impacted include, lowell, lawrence, haverhill, methuen, chelmsford, andover, dracut, tewksbury, north andover, newburyport, amesbury, ipswich, pelham, tyngsborough, salisbury, georgetown, boxford, newbury, groveland and merrimac. 5/28/2015 4:41 PM EDT At 441 pm edt, doppler radar indicated a severe thunderstorm capable of producing quarter size hail and damaging winds in excess of 60 mph. this storm was located near dracut, and moving east at 25 mph.